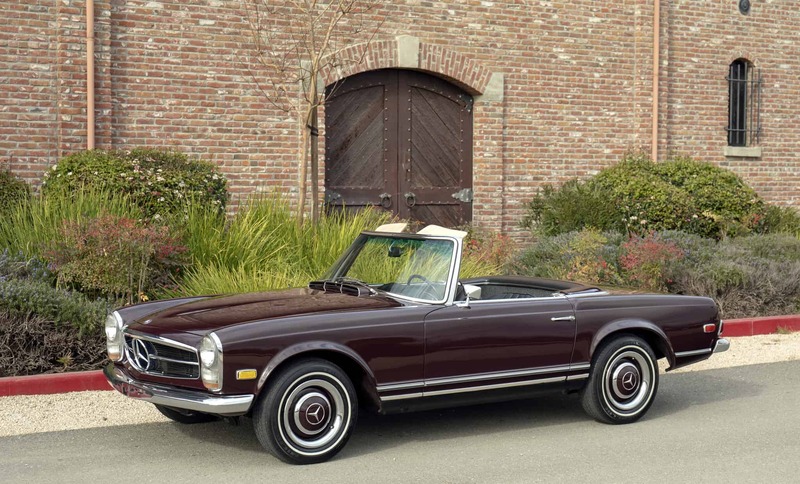 Beautiful 1968 Mercedes 250sl Pagoda Roadster: All original metal; original fenders with factory spot welds; bare-metal repaint in the original color; rebuilt engine with receipts; rebuilt mechanical fuel injection pump; original factory undercoating; new carpet; new convertible top. Meticulously serviced, runs and drives superb. Previously owned in Atherton, California, one of the nicest Pagodas you will find. We go to extents to document our cars in pictures and provide the most transparent listings on Ebay. Please study the pictures carefully rather than requesting descriptions. Please complete any inspections or ask any questions prior to bidding or committing to buy the car. Thanks for the interest!